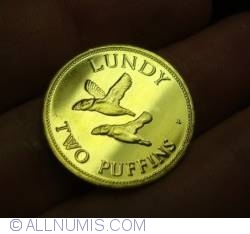 The coins of Lundy are two unofficial issues of currency from the island of Lundy, in the Bristol Channel off the west coast of England. 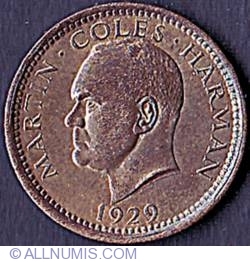 he first issue was issued in 1929 by the self-declared 'King of Lundy', Martin Coles Harman, who was an English businessman, born 1885, Steyning, Sussex, who bought Lundy in 1925. 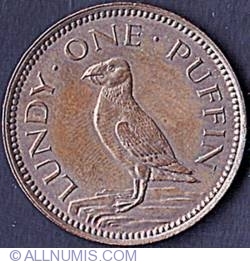 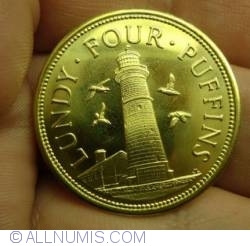 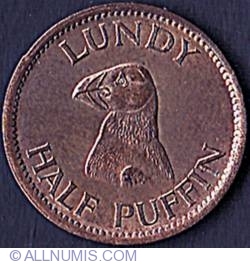 There were two coins - the Half Puffin and the One Puffin, which were rated at the same nominal value as the British Halfpenny and Penny. 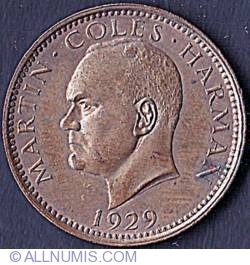 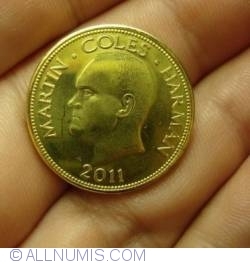 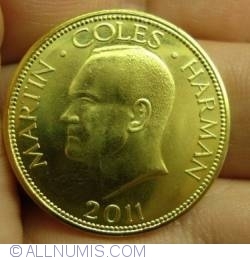 Since then, a token series was issued in 1965 and 2011.